For those who visited a Stussy Chapter Store before, this is definitely a familiar sight. 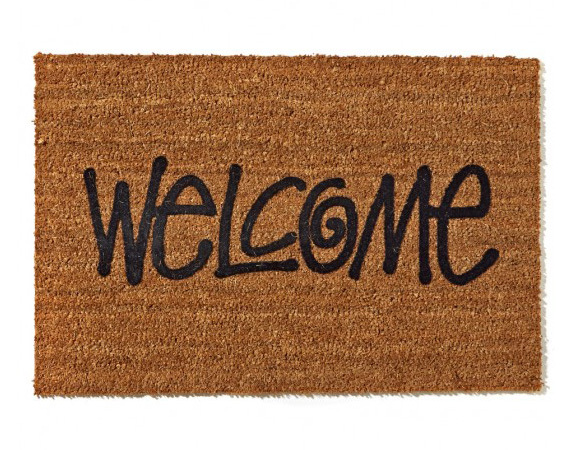 After getting customers’ requests for a number of years, Stussy finally made the decision to have their signature “Welcome” Door Mat available for purchase. A staple of all Stussy Chapter Stores, the 29.5-inch by 19.5-inch mat is all-natural and made for coco palm fibers. Stenciled with raised “Welcome” lettering in the iconic Stussy script, the mat is now available through Stussy online store as well as select Stussy Chapter Store worldwide. This entry was posted in Home, Stussy and tagged Home, Mat, Stussy, Welcome. Bookmark the permalink.